Mathematics is an important part of everyone’s life. All individuals require basic mathematical knowledge and skills in their daily lives. Keeping this in mind, Atmiya Vidyapeeth in Mathematics lab, endeavors to create an appreciation for the ‘poetry of logical ideas’ called Mathematics. 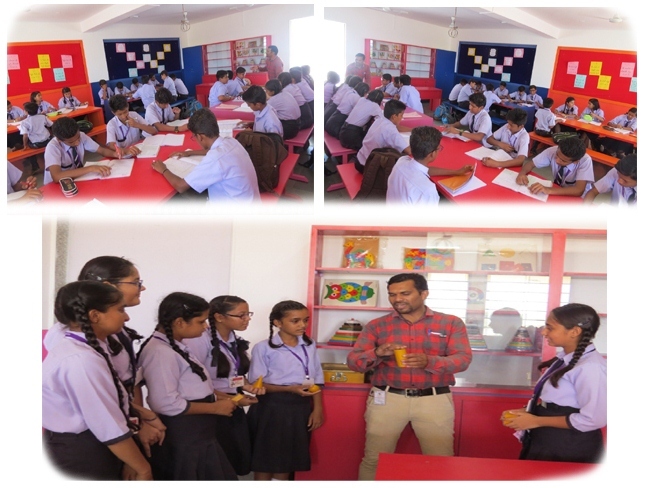 The larger objective of the Maths Lab is to enable the students to realize and appreciate the pervasive use of Mathematics in the real world.It provides an opportunity to the students to understand and internalize the basic mathematical concepts through concrete objects and situations. It provides greater scope for individual participation in the process of learning and becoming autonomous learners. Simeon Poisson says ‘Life is good for only two things, discovering Mathematics and teaching Mathematics’.